 One of the things we often hear from sponsors is that they love how CRF allows them to meet their sponsored children in person! 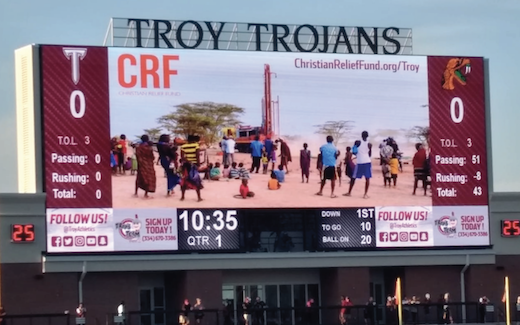 Every year hundreds of CRF sponsors join us on mission trips where they have the opportunity to visit their children and serve their communities for the glory of God. 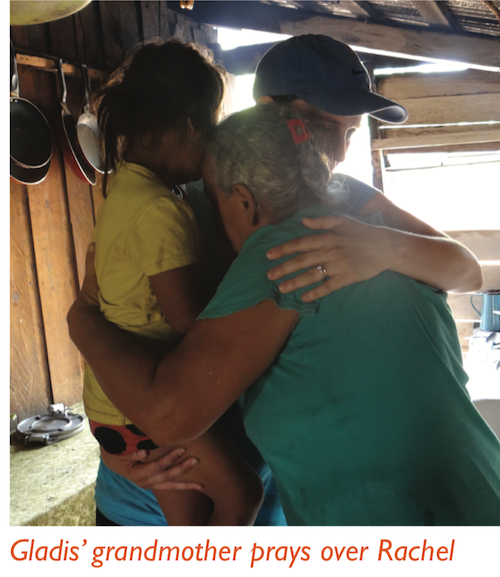 We wanted to share this story from sponsor Rachel Shoener of LCBC church in Pennsylvania about her recent experience visiting her family’s sponsored children in Honduras! What an incredible trip! We saw some amazing mountain views, walked over hills and valleys to visit families, and shared a love that was beyond words – and an overwhelming love was shown to us. There was not a day that we did not cry together – sharing gratitude, love, and saying goodbye. We spent an hour or two with our sponsored kids. It was more than enough to make a lasting connection. We miss them greatly. Christian Relief Fund is an amazing organization, and made extraordinary things happen, like meeting all 3 of our sponsor families for lunch at the center. 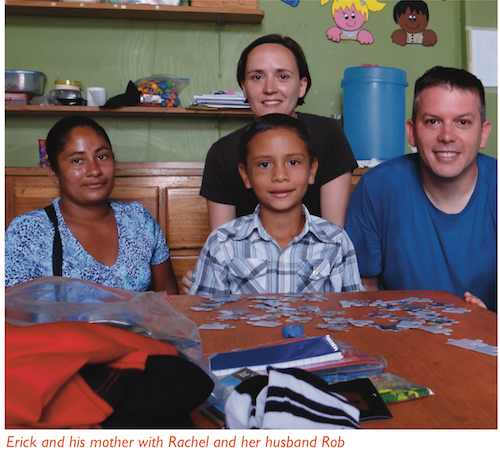 It meant so much for us to meet our sponsored children and their families. I’m blown away by the care and love CRF shows for each of the 400 children sponsored by LCBC members in Honduras. They have worked hard to set up this child sponsor program so that children can go to school, receive food, clothes, and school supplies. We got to visit our sponsored boy, Erick, in his school. He showed us his school papers and we are so proud of his hard work! We got to walk to his home that his dad spent a year building. It is finally complete and lovely! It was touching to see our pictures on his wall next to the kindergarten graduation photos and family photos – we are a part of their family there, and they invited us into their homes and lives. Gimena, our sponsored girl, sat on my lap at her school for so long talking in Spanish so fast that I could only understood about 10% of it… but the excitement and love she shared was beyond words. She sang two songs for us. It was so sweet! We played games and drew pictures of animals with her. She asked my husband Rob to help her draw an elephant! Her laugh was contagious. Gimena is so sweet, smart, and silly! At Gimena’s house, her dad shared that he started a motorcycle repair business, is raising their kids to go to church, and is training them to be respectful to others. Gimena cried when we left. It was so hard to leave. We definitely have a family home there. 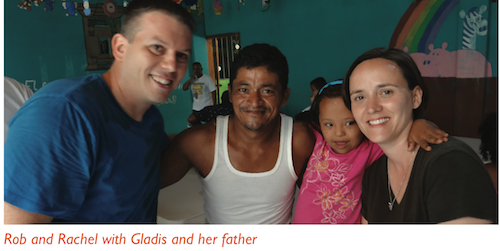 Meeting our sponsored girl Gladis, her dad, and her grandmother at their home was the highlight of my week. Her dad chose a high mountain top spot with a beautiful view to build their home. Gladis’ grandmother gripped and hugged me tightly, praying over me. She is truly a woman of faith, walking with God for more than 30 years. Her prayer was powerful and the room was thick with emotion. She prayed thanks to God and for God to bless us greatly. We are a part of their family. We all know God’s love has brought us together. God is doing amazing things in Honduras, and will continue to do so. He is the God of the hills and valleys – and we are in it together! Thank you, Rachel! We are honored to partner with sponsors like you to help children around the world break the cycle of poverty and grow to be leaders in their communities!